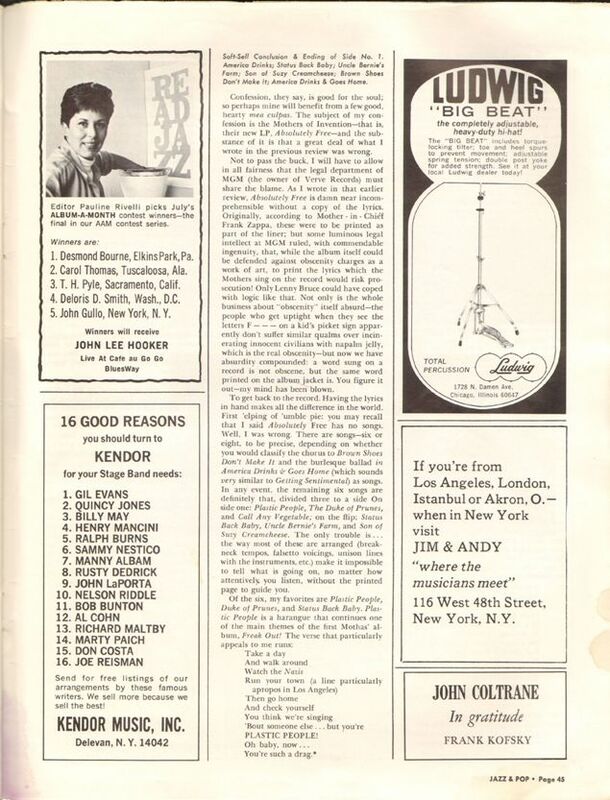 Down Beat's competitor, established as Jazz in 1962, "as a venture subsidized by record produced Bob Thiele and operated by his partner Pauline Rivelli" (Matthew Brennan). 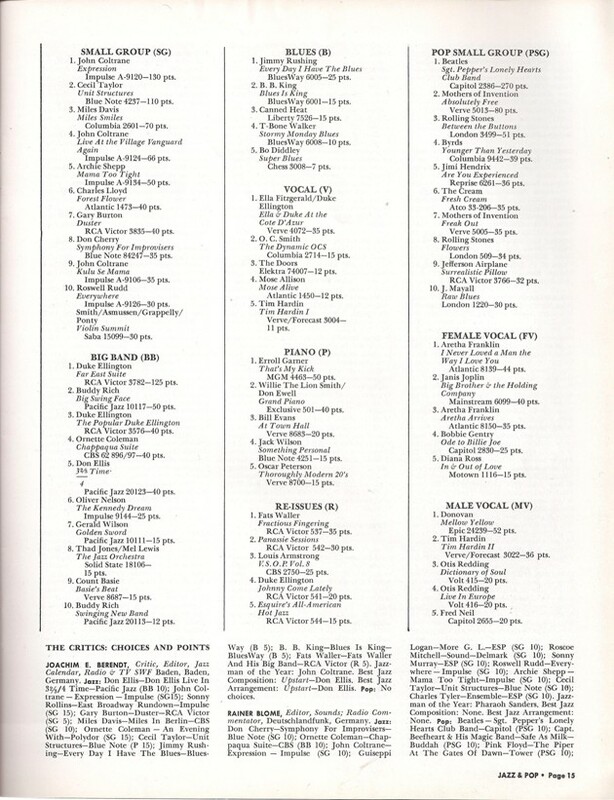 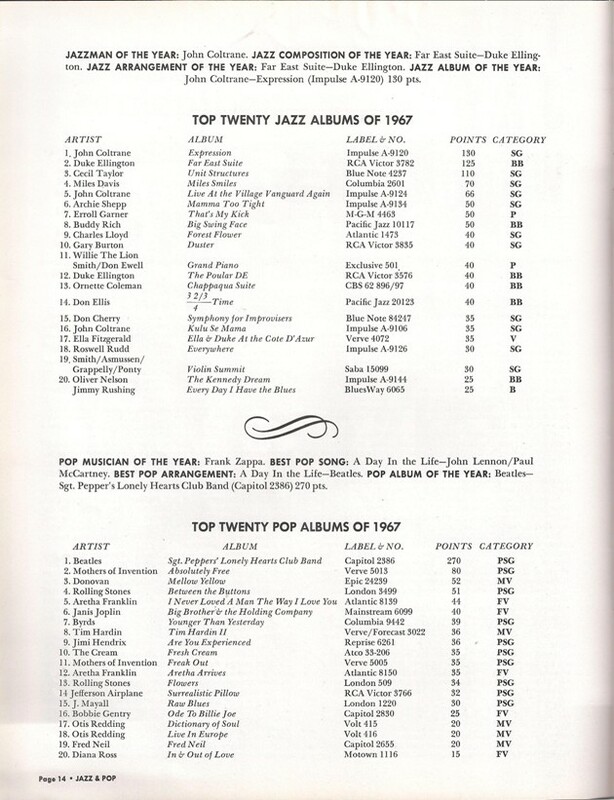 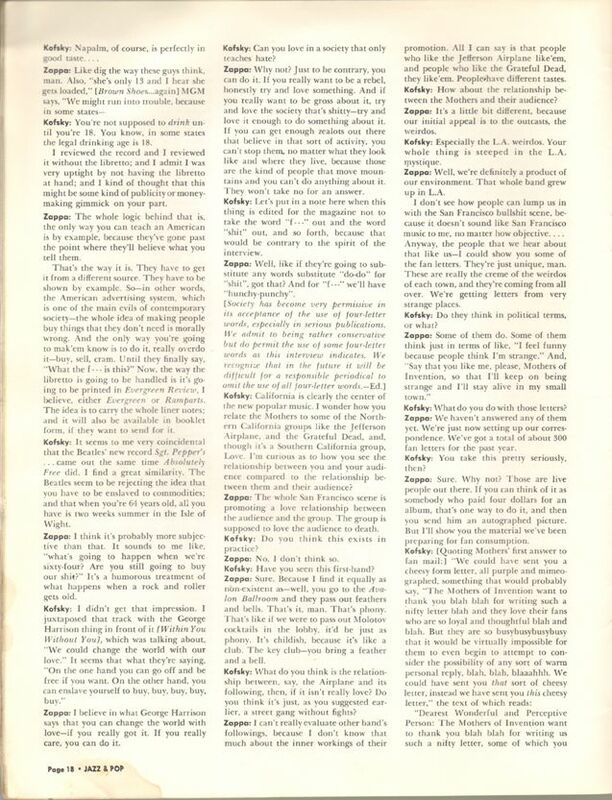 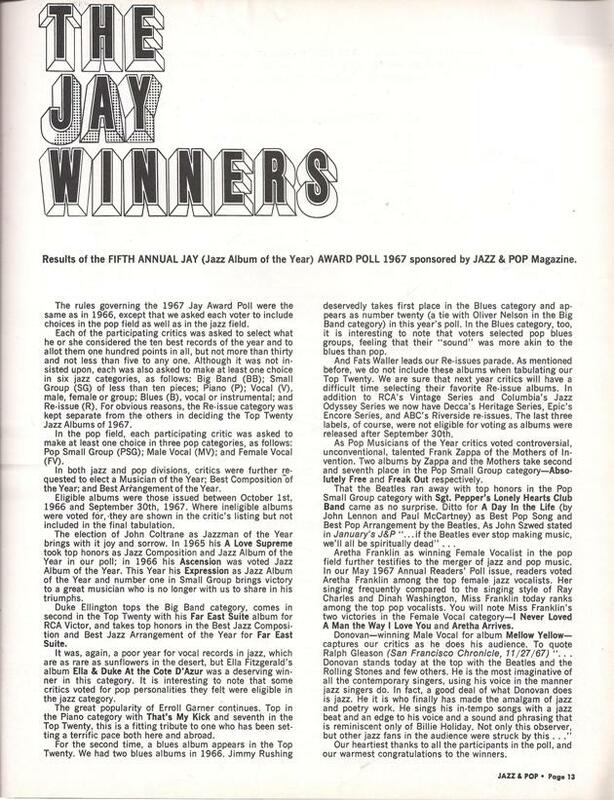 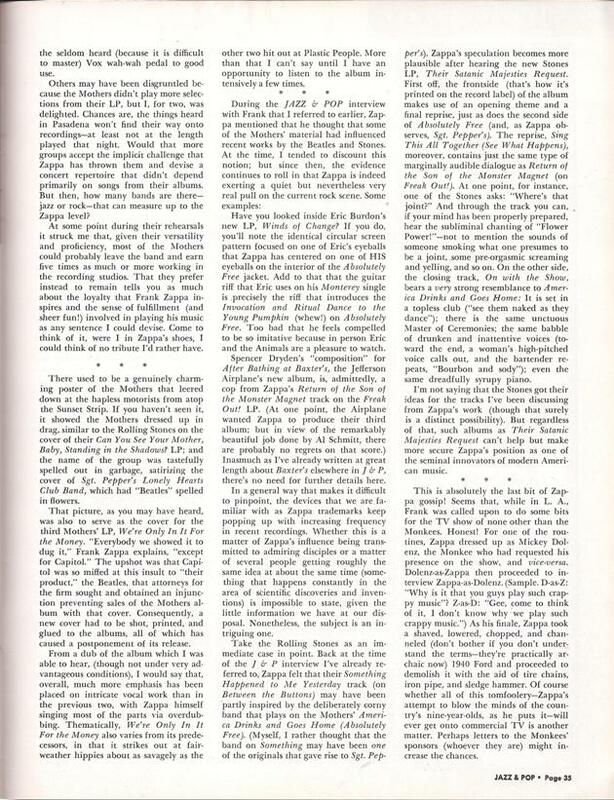 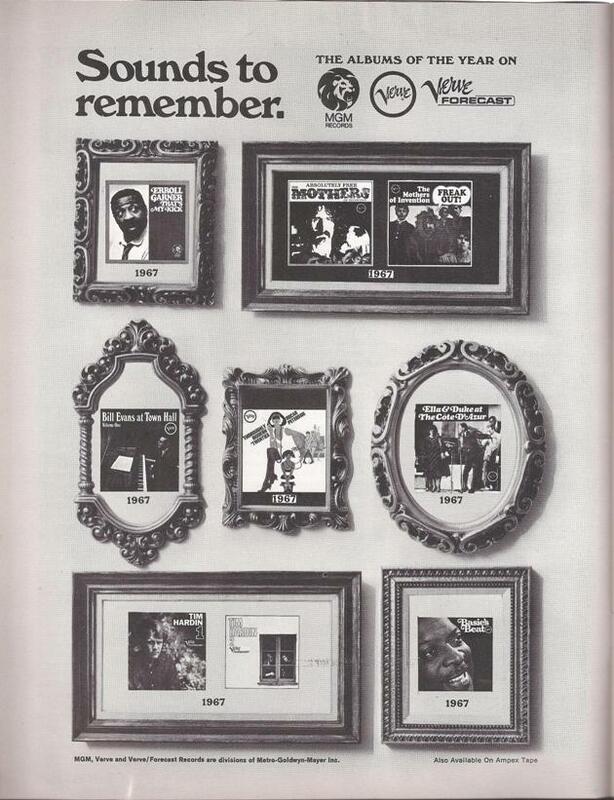 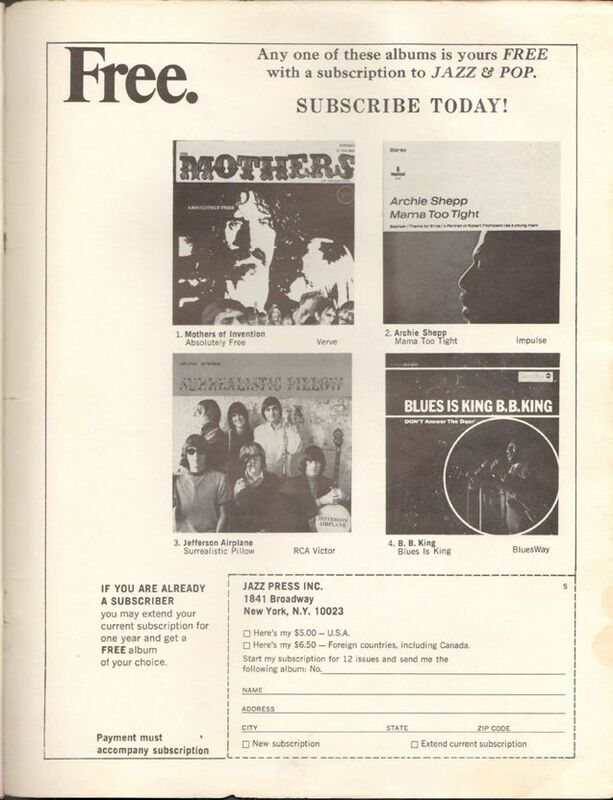 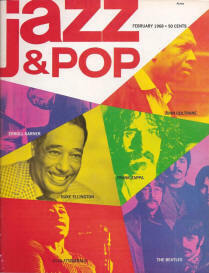 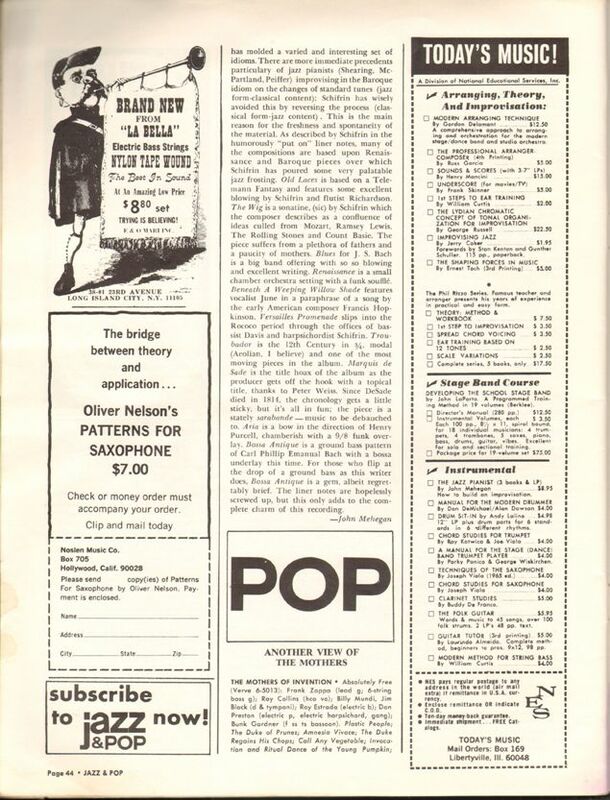 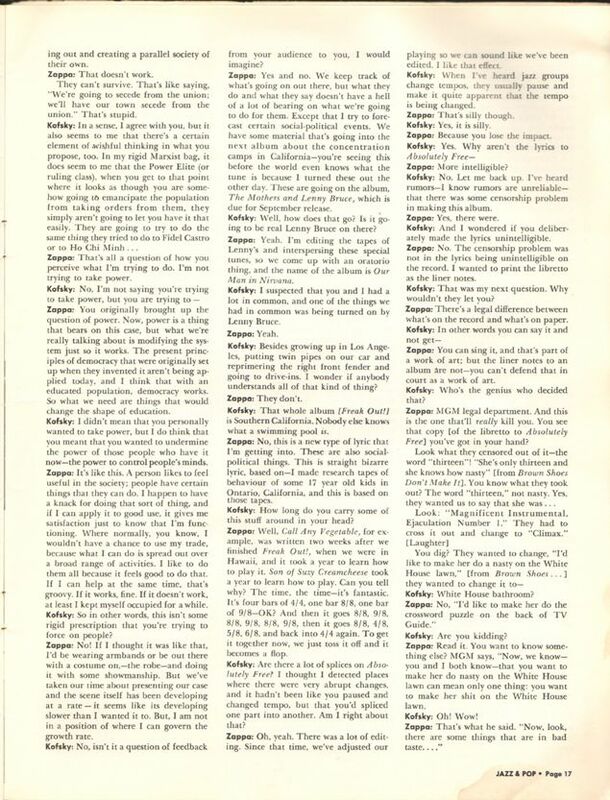 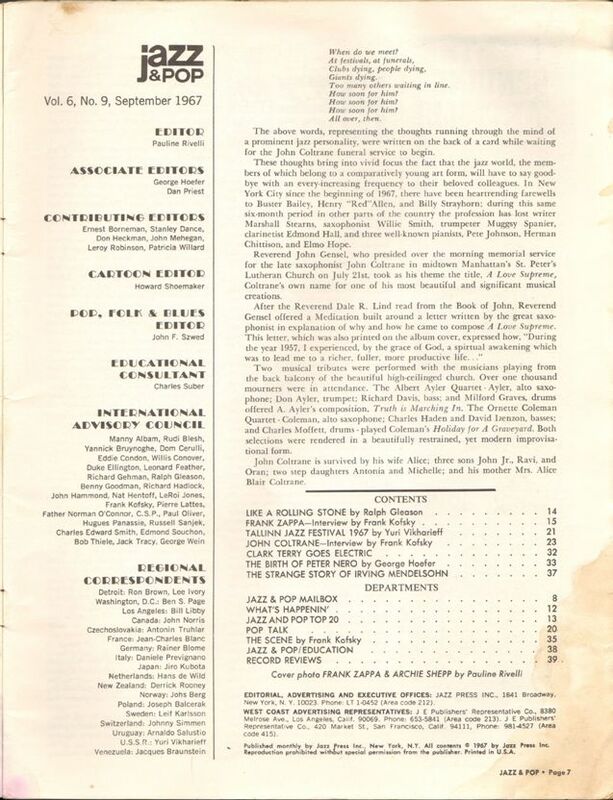 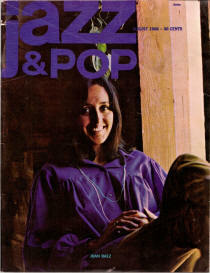 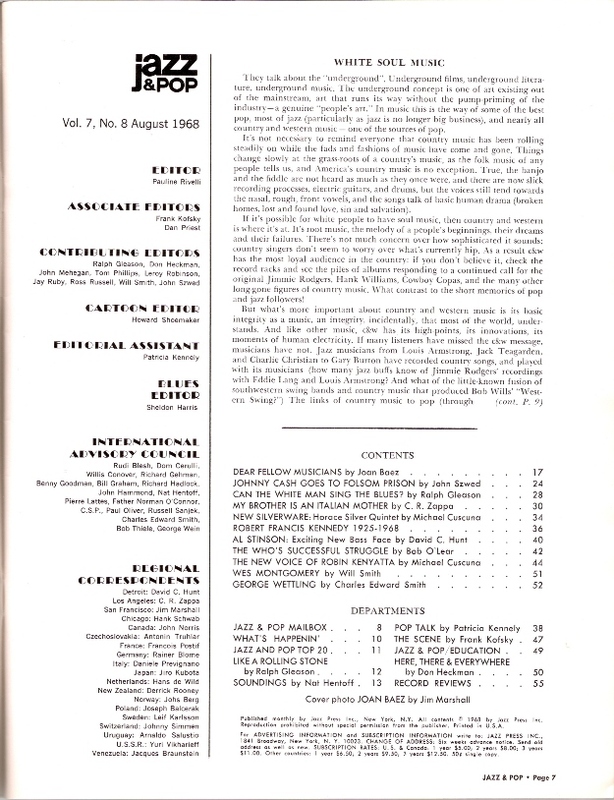 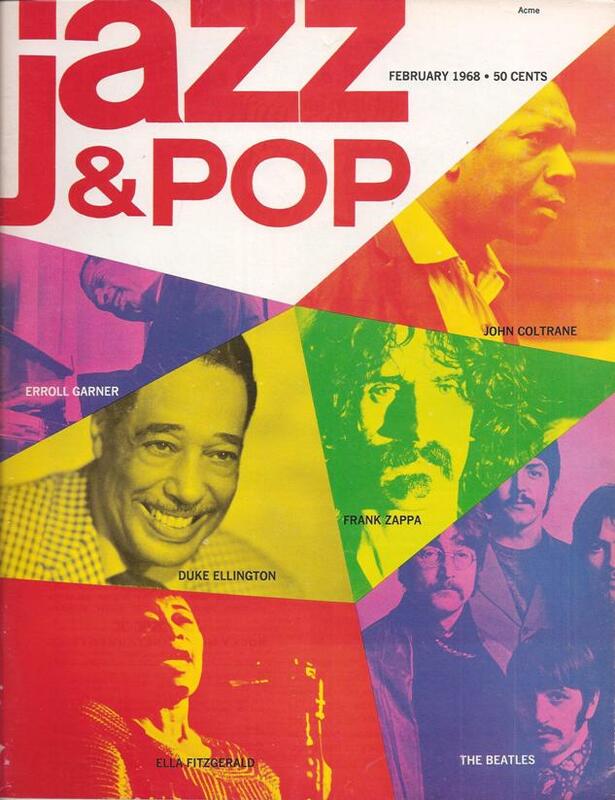 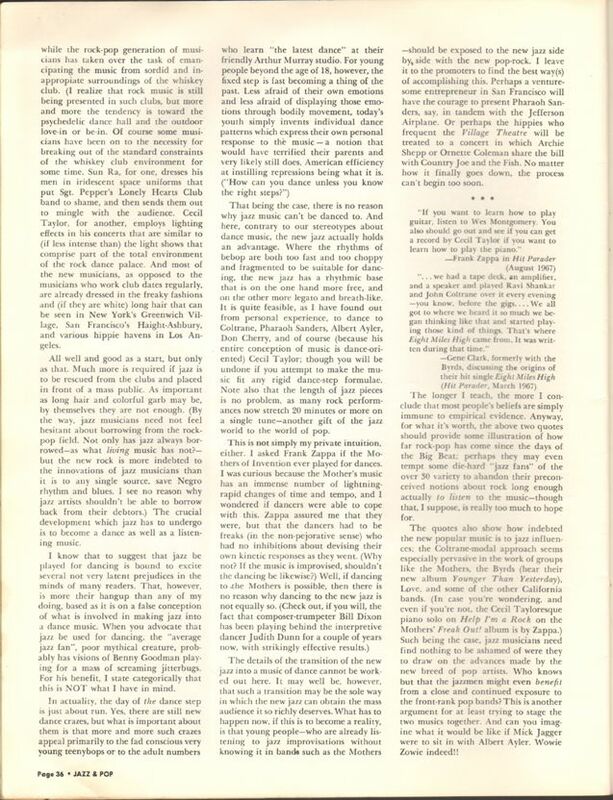 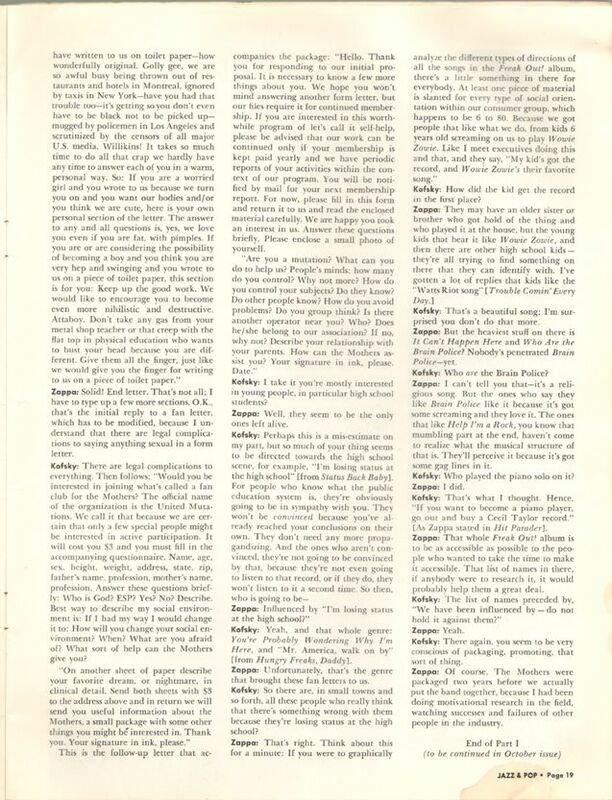 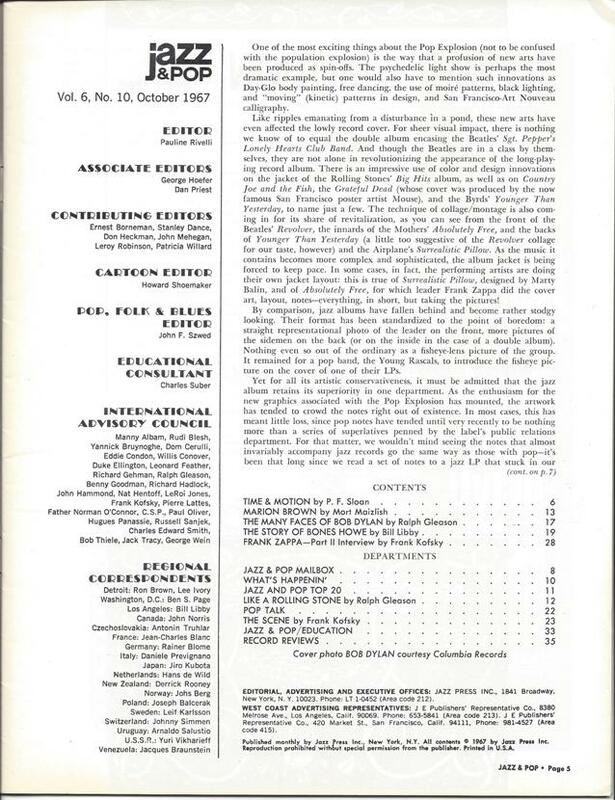 In August 1967 the name changed to Jazz & Pop to extend the coverage to rock, folk, and blues. 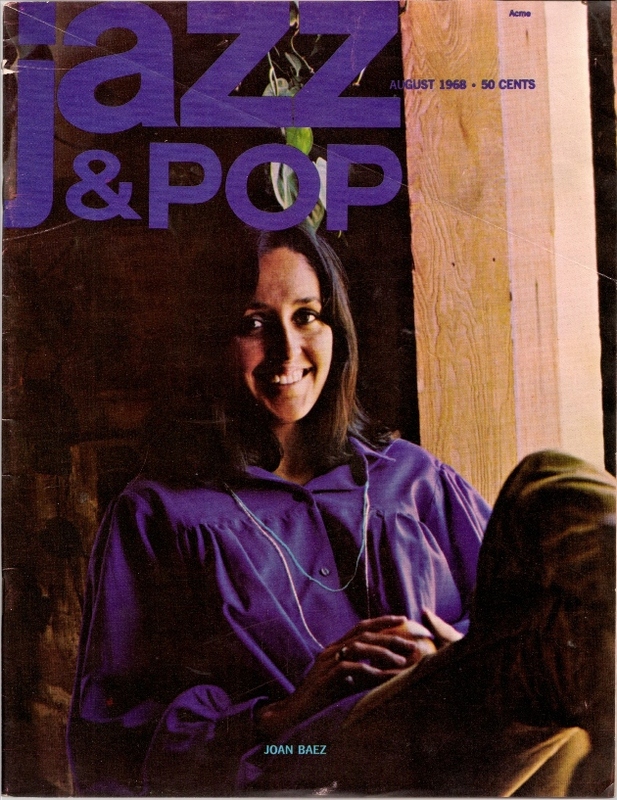 Ceased in 1971(?). 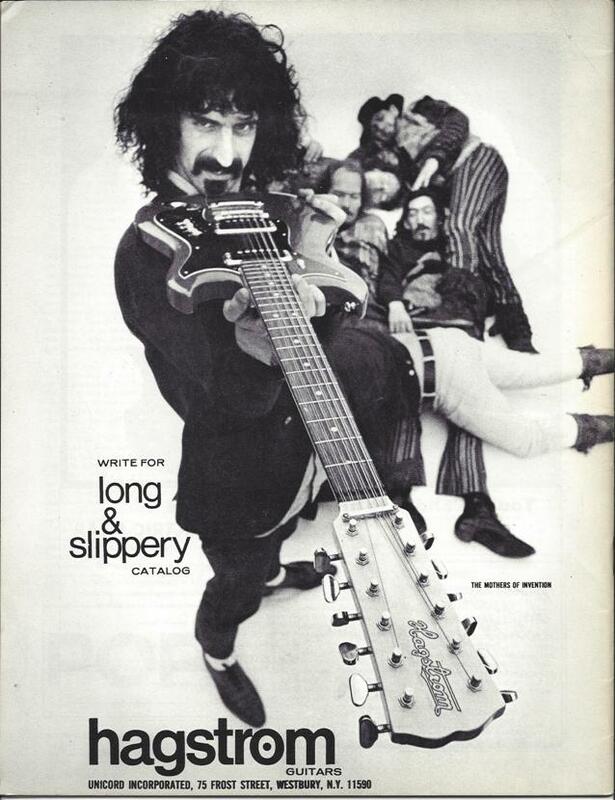 This is almost a Frank Zappa issue. 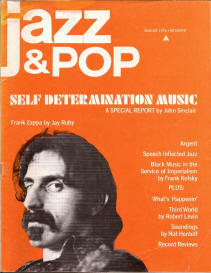 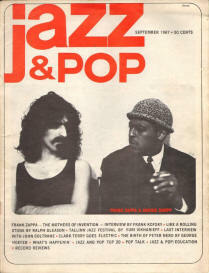 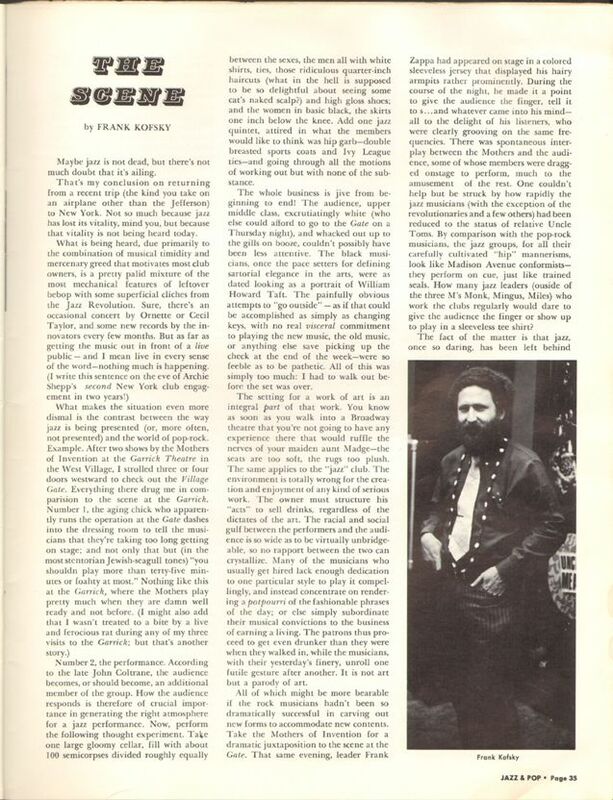 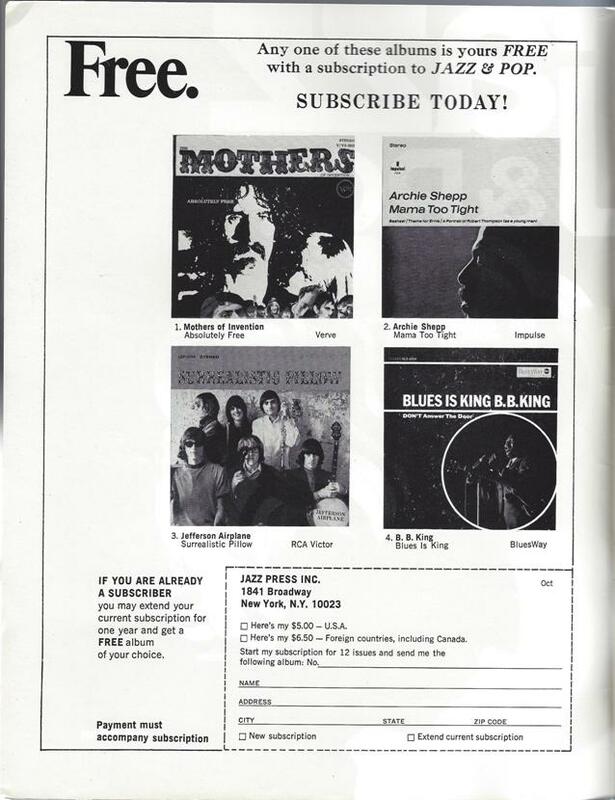 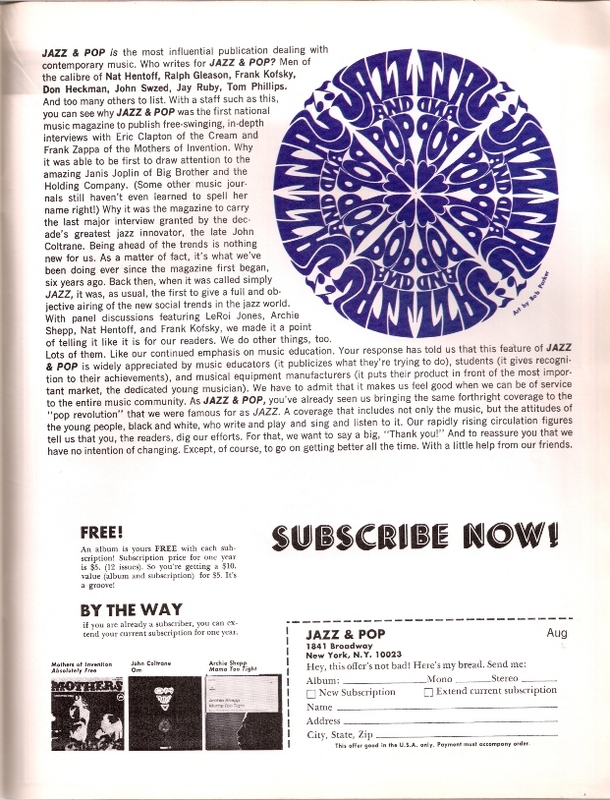 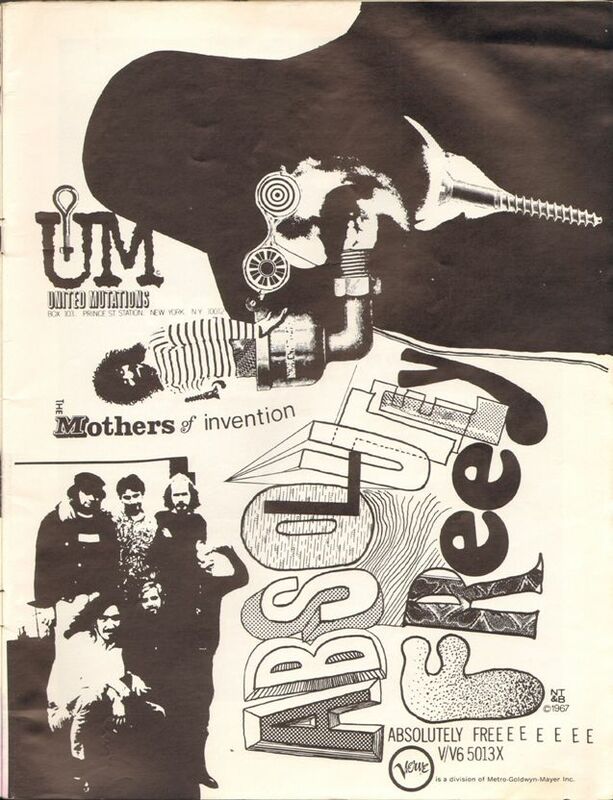 Includes a cover picture of Frank Zappa and Archie Shepp; three articles by Frank Kofsky (small picture) – (a) a very interesting interview reprinted later in a book Rock Giants, (b) another article The Scene with many Zappa references, (c) Absolutely Free review; a photo of MOI with Archie Shepp; full page Absolutely Free ad; Hagstrom guitars ad on back cover. 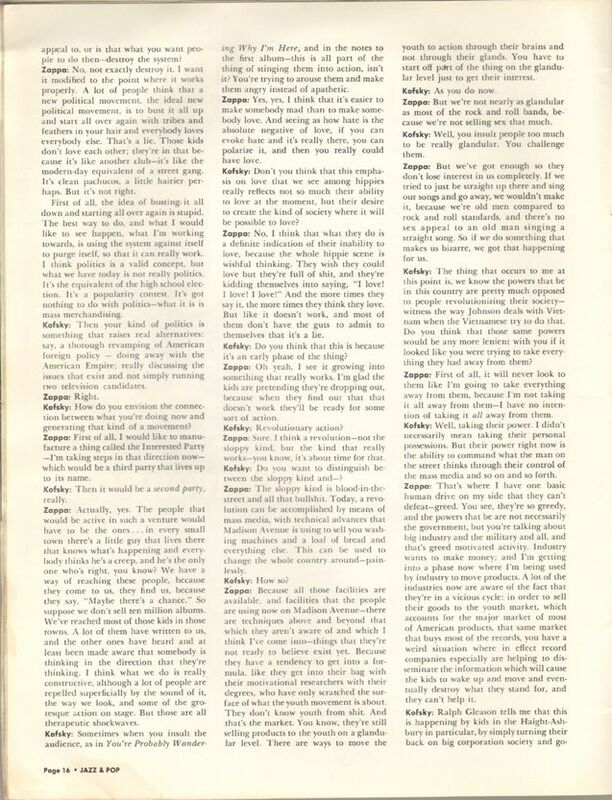 slime.oofytv.set: Regional correspondent for L.A. is C.R. 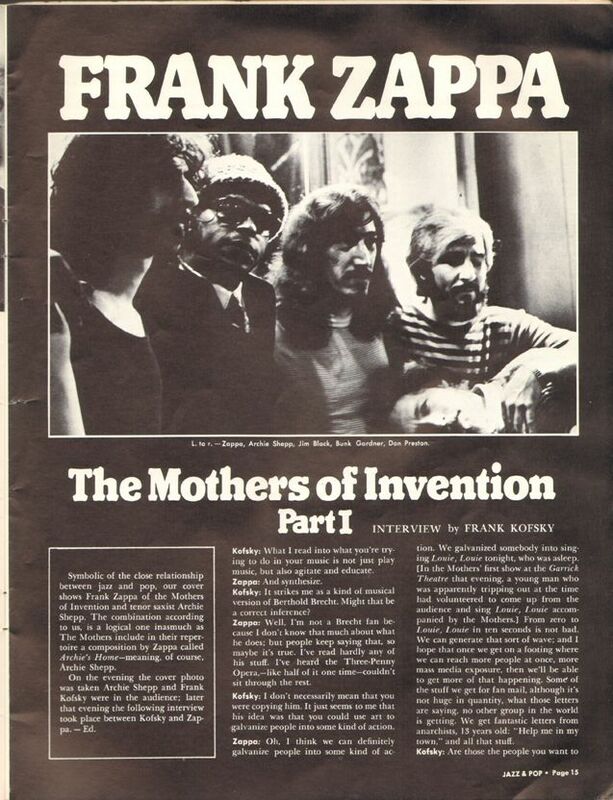 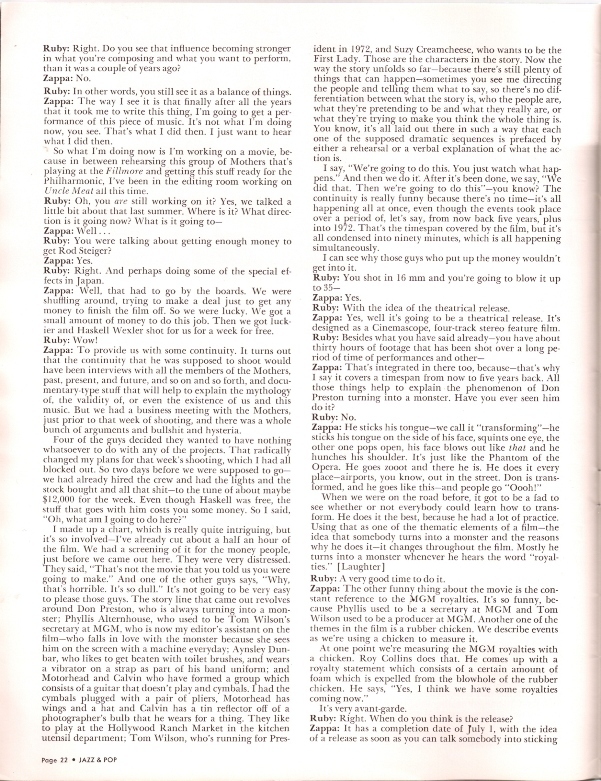 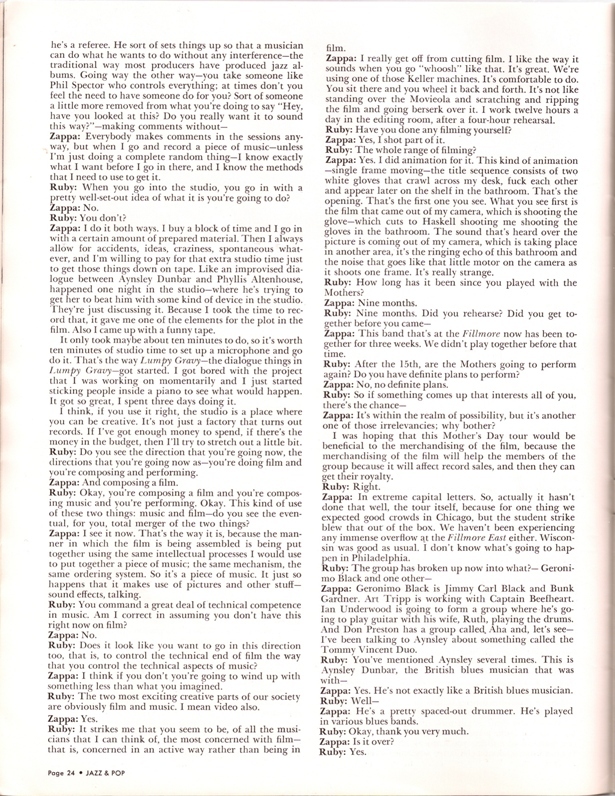 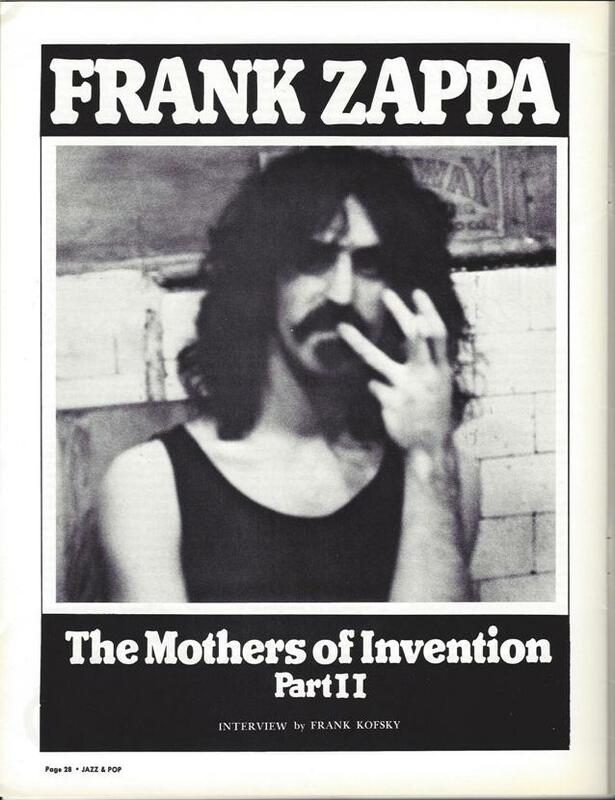 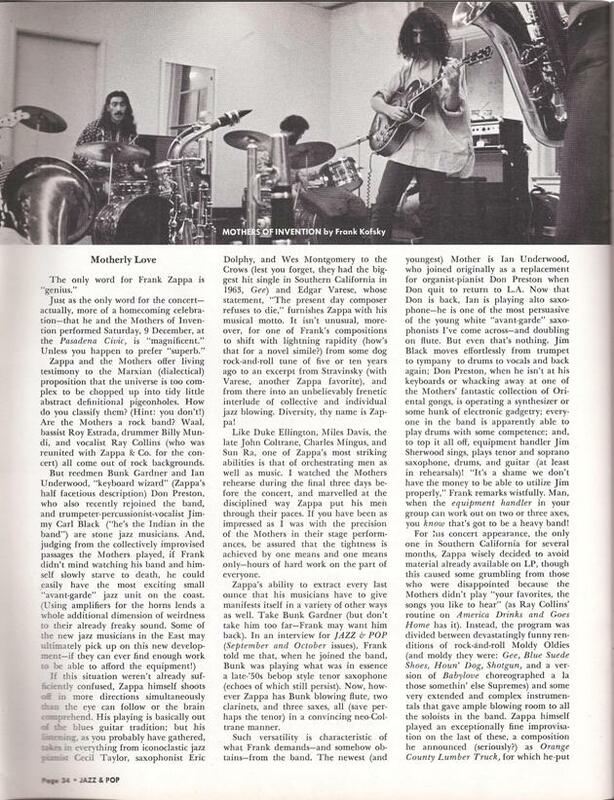 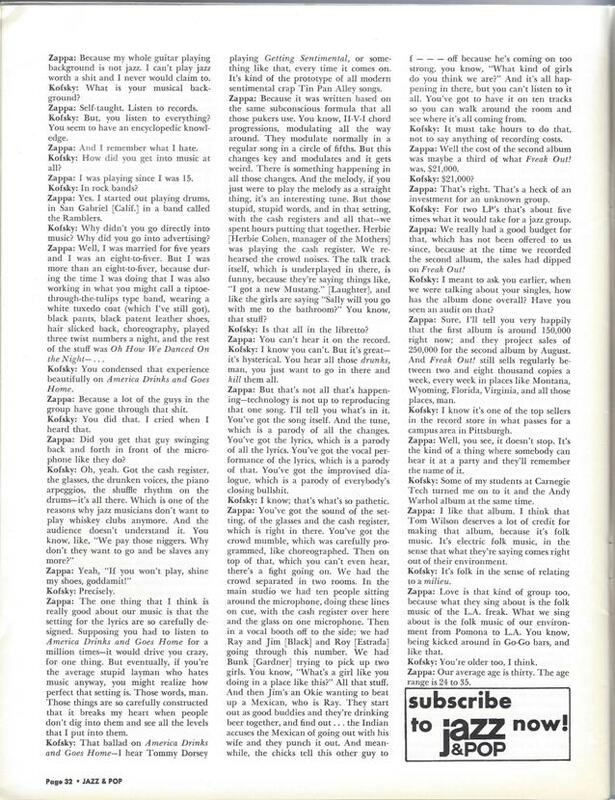 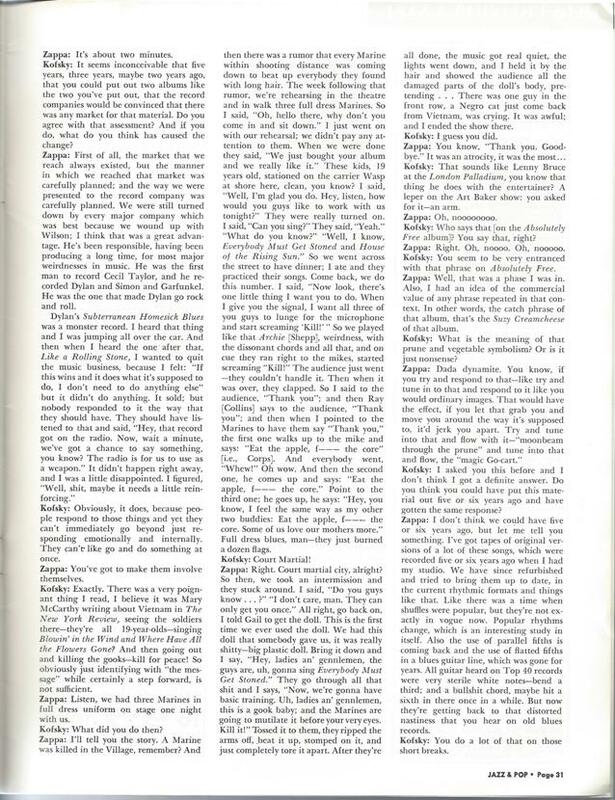 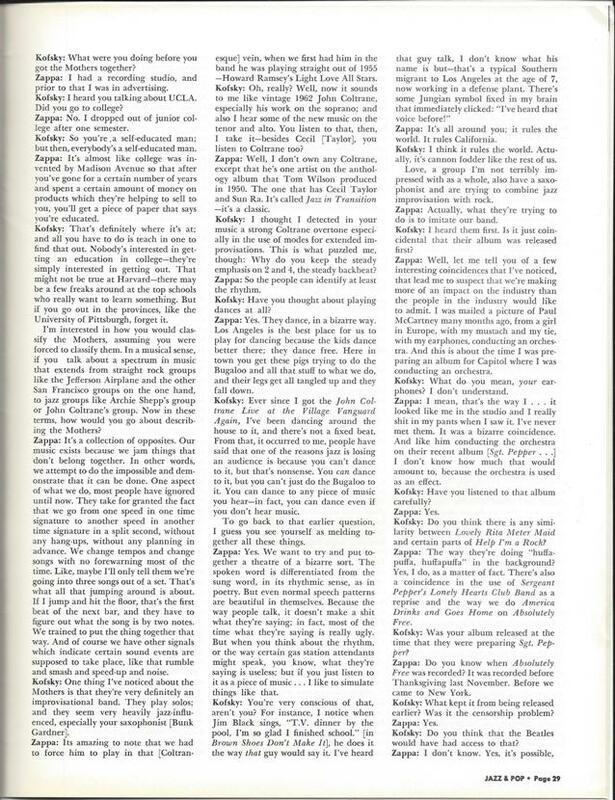 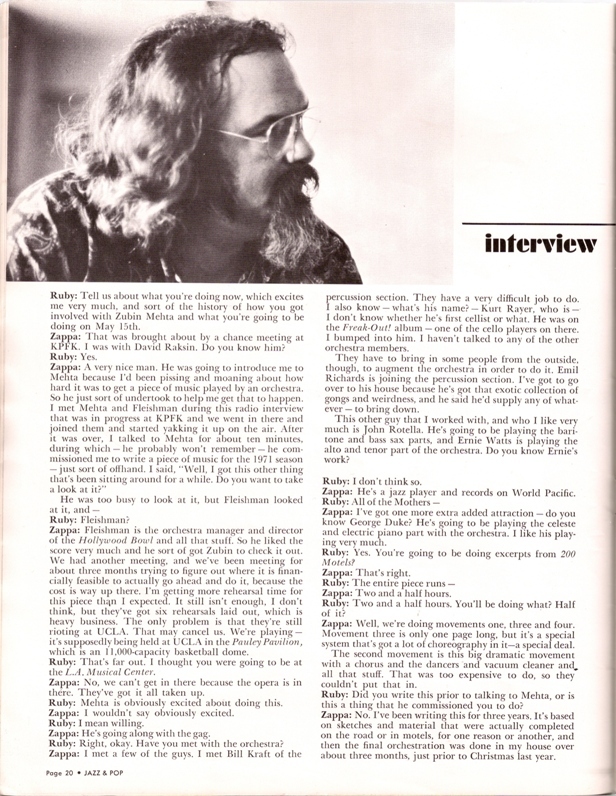 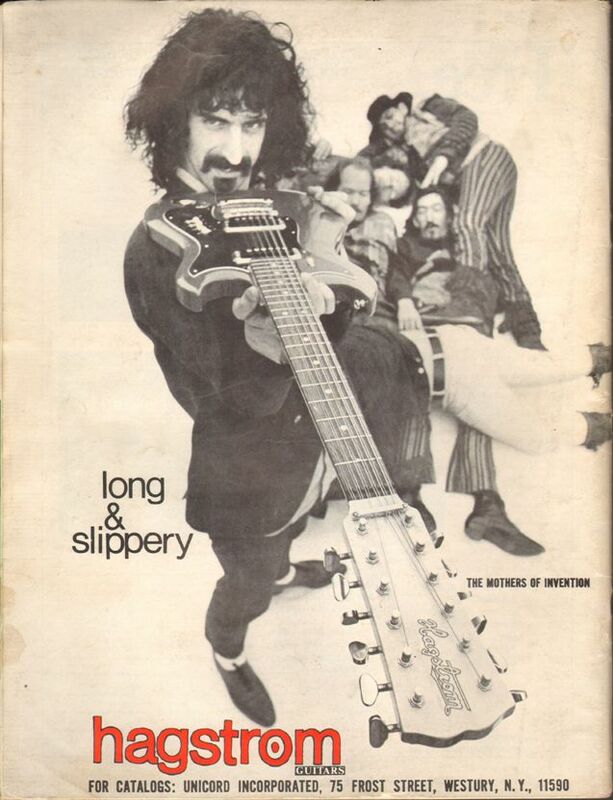 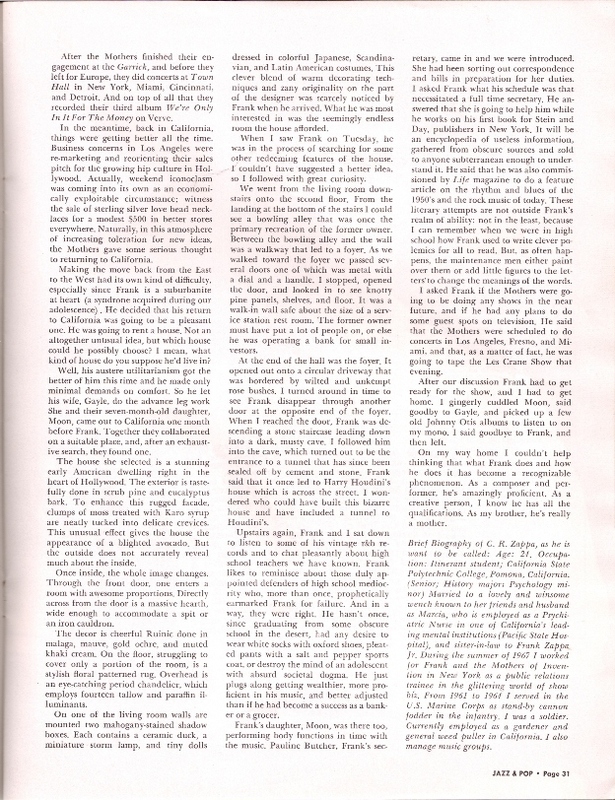 Zappa; same in the August 70 issue. 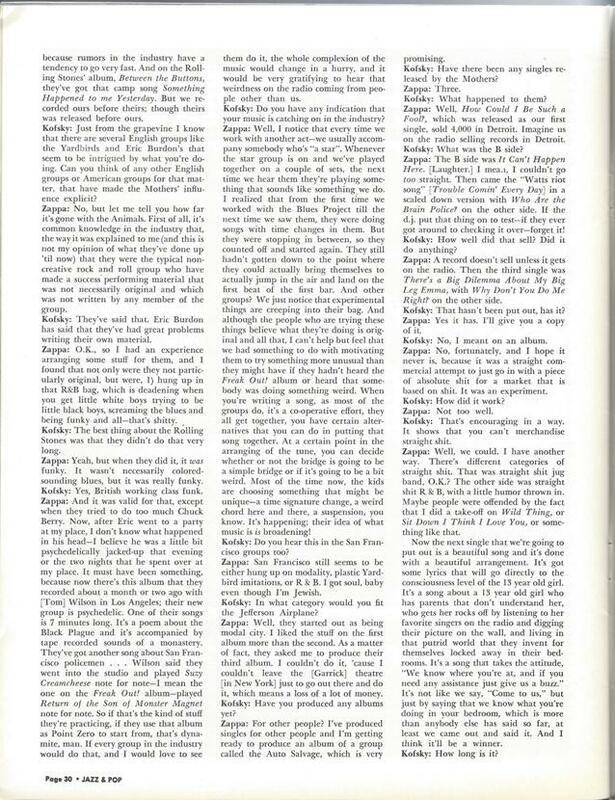 Ruby: Tell us about what you're doing now, which excites me very much, and sort of the history of how you got involved with Zubin Mehta and what you're going to be doing on May 15th. 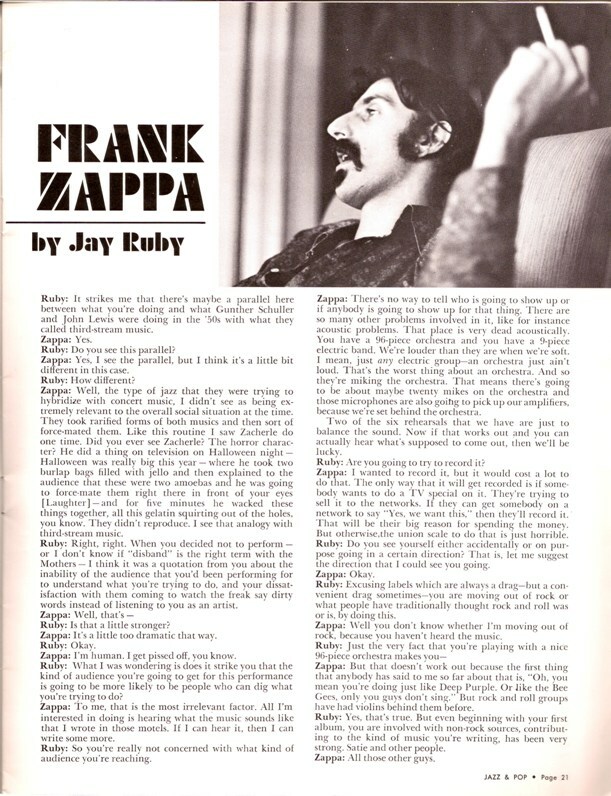 Zappa: That was brought about by a chance meeting at KPFK. 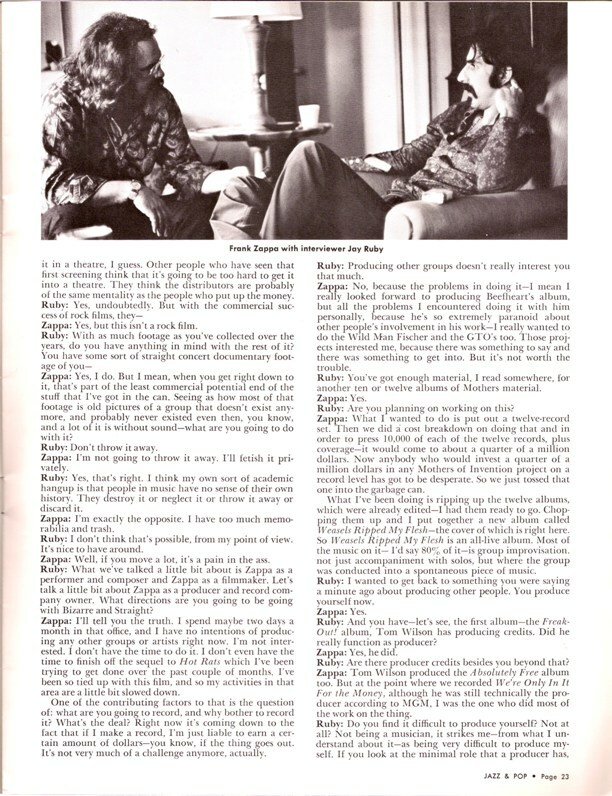 I was with David Raksin. 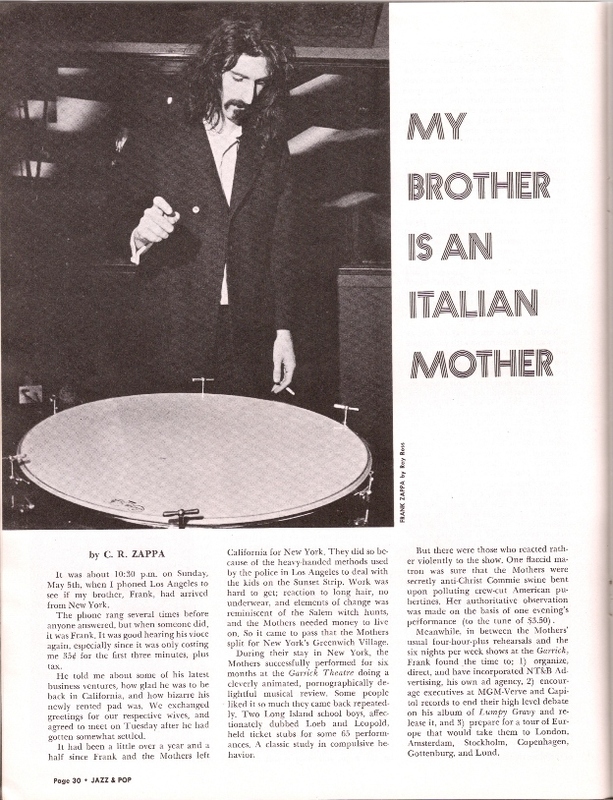 Do you know him?